Korean beauty has taken the world by storm, some say that they are ahead of the beauty industry by at least 10 years. Everything from BB cream to cushion compacts are all now essential beauty items that originated in Korea. They inspire western brands to create packaging that is unique and enables easier application. Products are formulated using ingredients that effective, safe for the skin and hydrating. Oh K! Life have taken all this as inspiration and created a range of products that brings Korean beauty to the UK. I love a good sheet mask, the satisfaction of having to take/peel it off is so much nicer than having to wash. 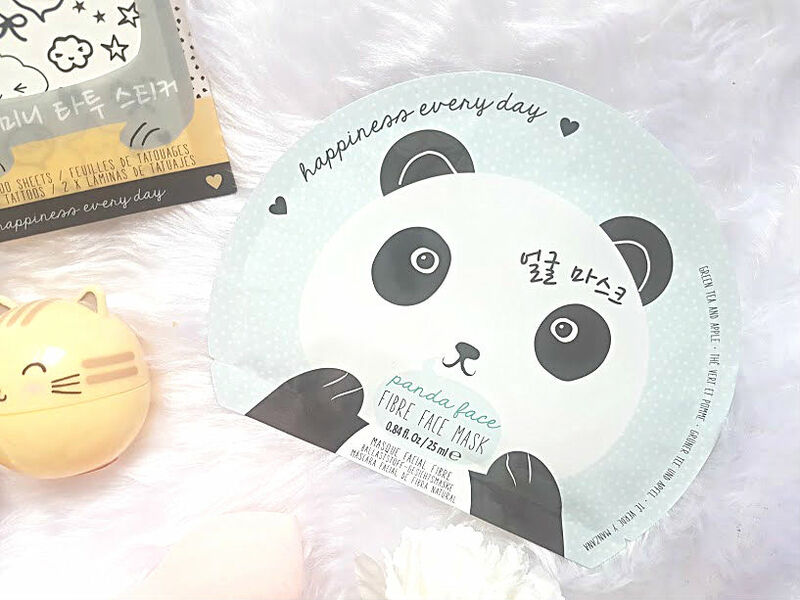 This mask is so cute, making you look like an actual panda! 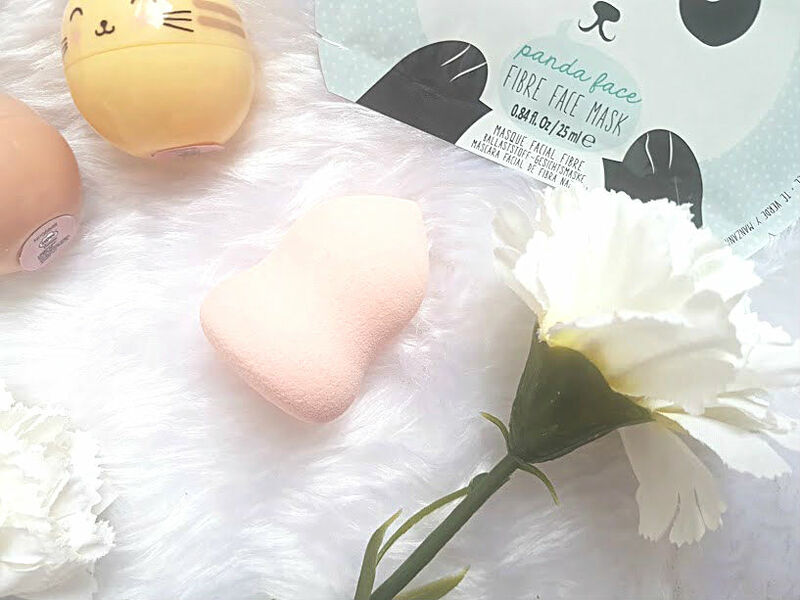 The mask is designed to give you a boost of radiance and put the dewiness back into your skin. After cleansing my makeup off, I popped this on for about 20 minutes, removed and rubbed in the excess product to have my skin left with a gorgeous glow. Not like a highlighter glow, a radiant and natural glow, where your skin looks healthy and young. Definitely going to have to purchase more of these! Back in the day, my brother and I used to be obsessed with stick on tattoos. 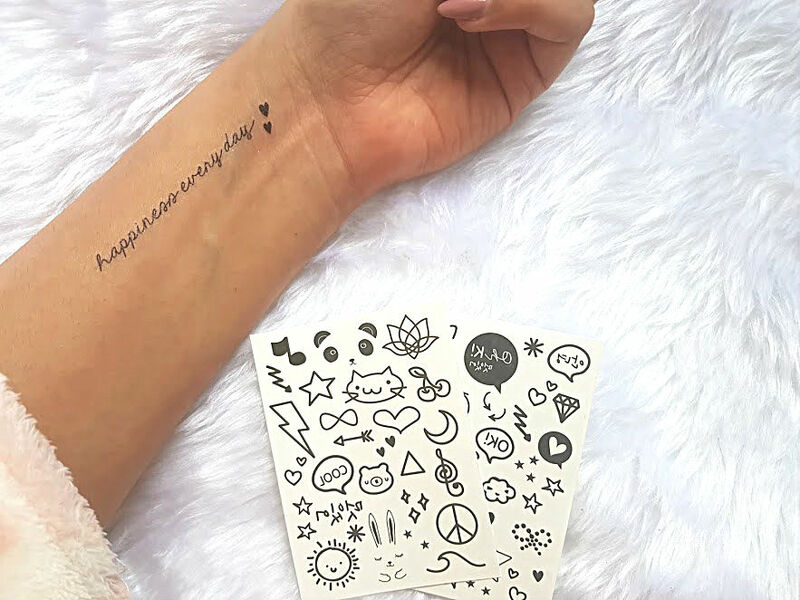 Creating fake sleeves all up our arm or placing them in areas of the body that we'd love an actual tattoo. 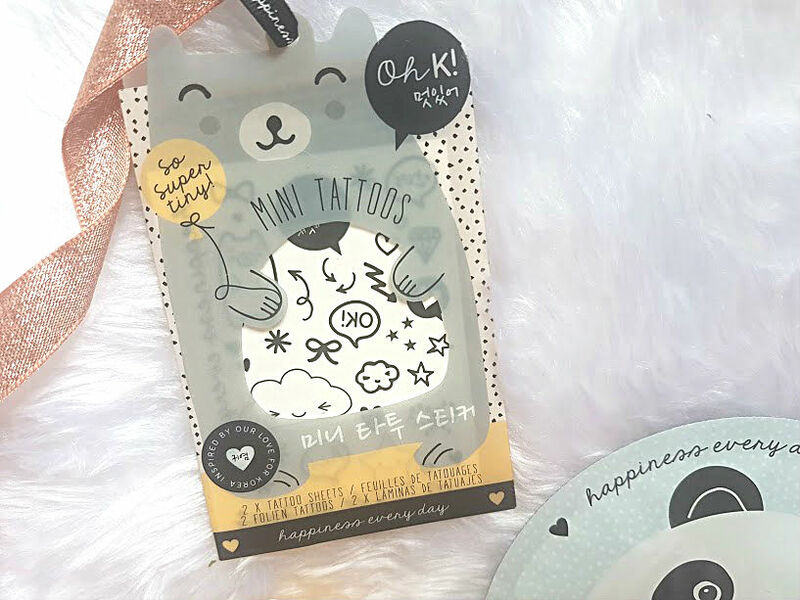 These mini ones from Oh K! Life are so cute to give as a gift to someone or even use for yourself, I've loved having little ones on my wrist and finger, they look so real too! Aren't these just the cutest things you have ever seen?! 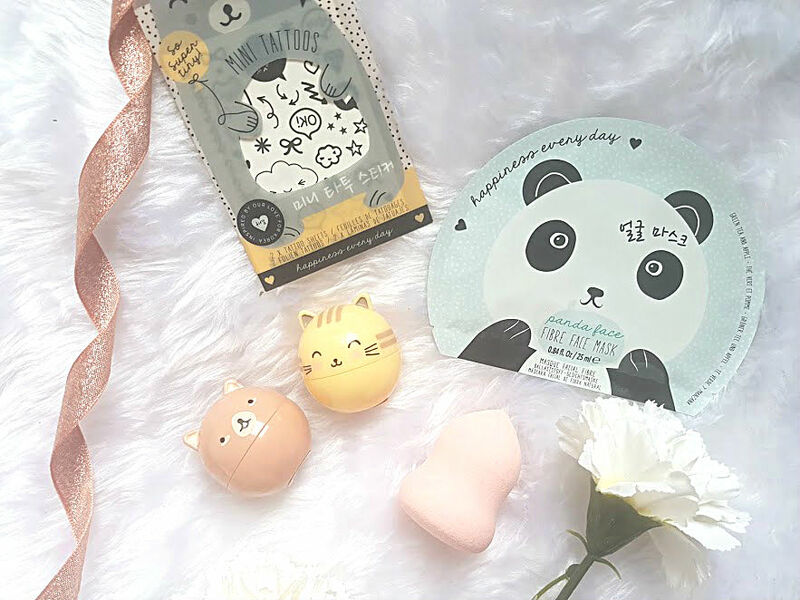 These cute animal lip balms are in peach and cotton candy, and apply onto the lips like a dream. They are a roller balm style and keeping them in my handbag to use throughout the day has been a life saver to my lips. My lips are always so dry in the spring more than in the winter, these seem to be helping with the flakiness and peeling. I swear by beauty sponges, brushes just don't seem to give me that same airbrushed finished that I like. This sponge is tiny until you dampen it, where it just about doubles in size. Instead of using this all over the face to blend in foundation, I've been using it to blend concealer under eyes and around my face, the slight point at the top helps to get into the tiny corners. The sort of indent/squashed in bit of the sponge is great to use on cream products, such as highlighter and contour. I've really enjoyed using this sponge and even after washing it, it still looks as good as new! Korean Beauty seems to be my new obsession, I need to try and buy more! 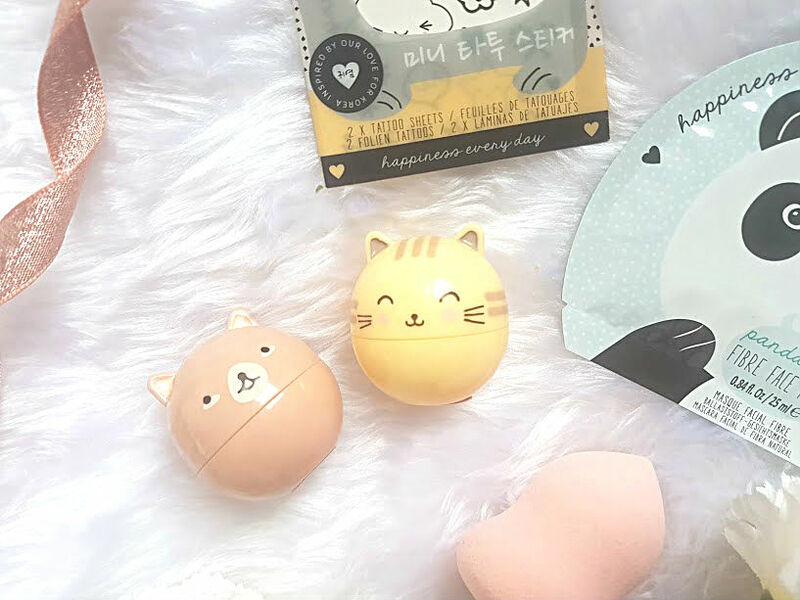 Have you tried any Korean beauty inspired products?